It’s the time of year when many northern hemisphere athletes are starting back into training after an end-of-season Transition period break from training. Most don’t have an A-priority race for 6 or more months. Given that it’s probably at least that long until your next important race, how should you train? What I want to show you is how I train athletes at this time of year when they have such a long time to prepare. There’s a good chance that it’s far less serious than what you are doing. My experience has been that self-coached athletes train at too high an intensity and do workouts that are unnecessarily long for Base 1. And they generally train systems or ‘abilities’ that are out of sync with what I believe is a proper progression. What follows is a brief description of the training strategy I use in Base 1 with endurance athletes. The process is the same regardless of the sport. Triathletes are faced with the challenging task of trying to establish a fitness base in three sports. So what follows here must also be applied to the swim and run in that case. This is yet again a multi-installment post so check back in a few days for Part 2. Here I comment on training frequency for Base 1. In the subsequent parts I’ll cover workout duration and intensity, and then wrap it up with suggested workouts in the last part. Frequency. How often should you workout? Let’s start by examining the least number of times to workout in a week and then progress to the high end. Novice athletes typically train three or four times a week in Base 1. Moderately experienced, intermediate-ability athletes usually do it four or five times weekly. Advanced and competitive athletes workout six or seven times in a week in Base 1. At the highest level some cyclists, runners and other single-sport athletes will even do occasional two-a-day training at this time of year. That’s quite common for triathletes. Three sessions in a week is the bare minimum even for the novice and these sessions need to be separated by 48 to 72 hours for best results (for the novice triathlete it would be 2 swims, 2 bikes and 2 runs a week as a minimum). A Tuesday-Thursday-Saturday pattern is far more beneficial than is a Friday-Saturday-Sunday pattern. With the latter, four days of no training at all (Monday through Thursday) results in a loss of fitness which likely erases the gains of the previous weekend’s training. Four workouts in a week will produce significantly greater fitness than three. Interestingly, research tells us that beyond four workouts a week there is a decreasing return on the investment of your time. In other words, your fitness will undoubtedly improve if you train in a sport five or six times a week instead of four, but the rate of improvement is not nearly as great as when going from three to four. The competitive athlete, however, is generally seeking every bit of fitness possible so even though the return is small at five or more they see the gain as fitness they otherwise would not have. Of course, there are limits to how often you train due to lifestyle conflicts and your capacity for training workload. In Part 2 I will comment on Base 1 workout durations. Check back soon. Many thanks for the highly informative blog posts. They are a wonderful supplement to your books, which I have read with great profit. For road cyclists, are including days off the bike, with 30-45min of weights as workout days? Or is it just on-bike workouts that you are counting? Thanks for the post Joe. 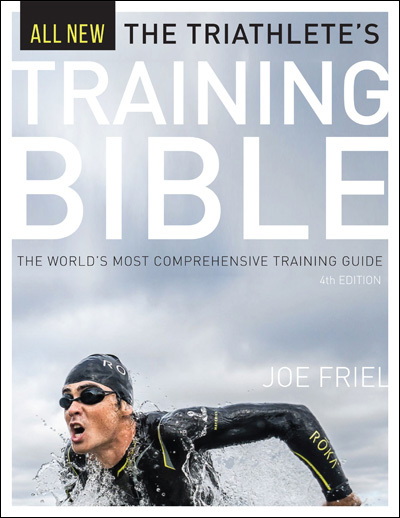 I've been following the Triathlete's Training Bible over the past year, with good results. I'm just getting into the Transition period, after this weekend's races. I'm excited about starting up the base training later this year and looking forward to a rewarding racing season in 2011. Also looking forward to reading your new book, "Your Best Triathlon". Hopefully that will be released soon. day workouts. I also like to include strength training. Please advise. Thank you. Madeleine--Weight training counts as training time also. Michael H--Thanks. It's supposed to be on book shelves next month. I'll post when it is ready. Hi Joe, there are two points from your post that raise a question. 1) "Three sessions in a week is the bare minimum even for the novice and these sessions need to be separated by 48 to 72 hours for best results (for the novice triathlete it would be 2 swims, 2 bikes and 2 runs a week as a minimum)." 2) "Four workouts in a week will produce significantly greater fitness than three." Joe - the scenario you describe fits my current state of play to a tee and this is exactly the sort of guidance i need right now. And when you say "There’s a good chance that it’s far less serious than what you are doing." you are dead right again. It's difficult to manage your own expectations as a self coached athlete - you never feel like you are doing enough so this is welcome advice. Can't wait for Pt 2. Joe - I understand that it depends on the individual athlete with regards to the # of times to swim, bike and run each week. What is the best way for a Training Peaks virtual coach user to determine this? If I do 4 workouts per week, it seems like I would not be doing enough in the off season. I need to work on my running and cycling primarily and want to do what is most effective for my 2011 season over the Fall and Winter. Thank you for your responses and blogs. I, too, look forward to reading your new book. Jennifer D--When you say you do 4 workouts per week are you meaning 4 swims, 4 bike and 4 runs. Or do you mean, for ex, 1 swim, 2 bikes and 1 run? If the latter I would agree that this would be too little. But 4 of each in the off season would be a lot for most triathletes. Joe - I actually do more than 4 workouts per week. I was just using your discussion of 4 workouts in your blog as an example. My goal right now is to do 3 swims, 2 or 3 short bike rides (1 to 2 hours) and 1 longer ride (3 to 4 hours) and 4 very short runs (10 to 30 minutes) a week as I am just getting back into running from an injury. DO you think I am on the right track? Hi Bruce--Not sure I understand. I wasn't trying to compare 2 each SBR for a triathlete to 3 single-sport workouts. The '2 each' for novice triathletes is due to their (typically) limited time and capacity for training, not to what is best. As they become more fit (and have more time) it would be far better if they were doing 3 in each sport weekly. But there's really no point of reference here for single sporters. Jennifer D--Yes, that sounds good. But the real marker is if you do not reinjure yourself. It's always best to be conservative at this stage. If in doubt, leave it out. Good luck! timely topic. i am hoping you will cover the level of intensity for base in the subsequent posts. in particular i am curious about using VO2Max workouts during this time of the year as i have read about elite level cyclists doing this. my concern would be that it will decrease the quantity and quality of endurance rides and strength training. what would really be the benefit of that kind of training at this time of year? what about throwing in shorter bursts throughout an endurance ride for neuromuscular benefits as hunter/allen - is base the right time for that? btw, i used your bible to much success in the past season, best season ever. thanks! Marcus--I'll discuss the topic of intensity in part 3. Let me know if any lingering questions then. I've devoured your Cyclist's training bible and am trying to put it into practice. As far as my personal plan I'm at the end of Base 1 right now and shooting for 20-24 hours a week (save for a recovery week) and am wondering, given this low intensity endurance focus early on, how detrimental is it to have half my week's workouts running instead of on the bike? I find its too hard to focus on these long rides and I am too tempted to throw hills into the mix too often. Mostly, given the weather I'd rather do a slow 15+- mile run than an endurance ride. Can I establish a proper endurance base this way?? And should I be adjusting my weekly training hours to account for the running load.. or lack of cycling? Thanks for all the help! past and present!! Thanks again Joe. With respect I think there is one important consideration missing from the introduction. That is have a clearly stated goal for the base period training period. There is no one size fits all regards this. e.g For some people/circumstances this may be to minimise fitness lost from peak, for others it may be to hold aerobic capacity steady while improving technical skills and for other it may be to see some significant increases in FTP. This goal then sets the focus for the subsequent training strategy. My case is an example. 3 last years seen very differing goals and resultant training. 2008 I got to a high level of fitness and goal 2008-9 base was to simply maintain that and build from it. Following a very intense 2009 2009-10 base I took things easy and was content to lose some fitness while working on TT position skills. Having taken things easy 2010 my goal for 2011 is to get back to peak so my 2010-11 base will be all about moving FTP from a relatively low current level to my 2009 2 hour CP. Hi Martin--No question about it: You're right. Thanks. Morgan--Yes, I think that's fine. I generally have triathletes do more running and less cycling (relative to Build period) in Base. For one thing, weather can make cycling pretty miserable in the winter for some. Again, great post as usual Joe. Regarding the example weeks from the “Cyclist’s Training Bible”. It seems you tend to favor more shorter workouts per week rather than fewer longer workouts in a week to make up the weekly volume. Is that true and if so what is the rational? I tend to need 2 complete days off from exercise a week but your example weeks all seem to call for 6 or 7 workout days a week. Rob--Many aspects of training are quite unique to the individual. Recover and rest is one of those areas. It's ok to take 2 days off if you need it. I don't start with volume and then build a training week. I first create workouts for a given week that the athlete needs to progress toward the goal event and then see what this has done to weekly volume. If I feel it is too high or too low ('low' seldom happens) then I tweak it a bit. Joe thanks for the suggestion to post. 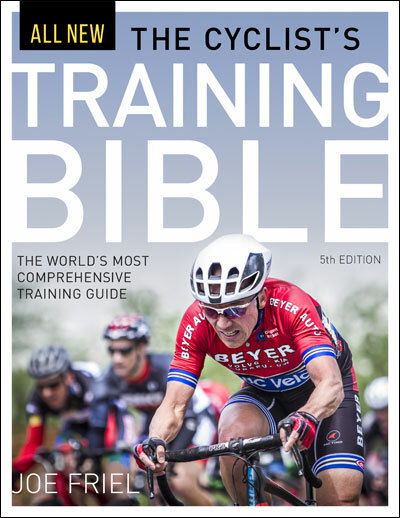 I feel that the previous comments and questions are starting to help me a little bit, but here is my situation: I am trying to wrap up my 2011 annual training plan (first time using the Triathlete's Training Bible). I am down to determining daily workouts based on the daily allotted time in my plan. I have read on your blog the suggested rough numbers of 50% bike, 30% run and 20% swim. I have also seen a general recommendation for at least two workouts per week for bike, run, swim and some form of strength training as a general guideline. I feel like I missed in the book or am missing a way to clearly understand how to match up my allotted daily hours with workouts based on my limiters, etc. Is this a difficult thing to do the first time around? 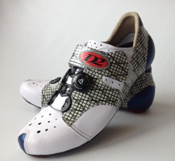 I assume the process of customization of an ATP for me is where all the learning will take place. I just want to start off with a reasonable plan that I am confident in. Any suggestions, additional resources or re-directs to previous posts on this topic would be welcome. Thanks for your time. Jesse--50(B)/30(R)/20(S) is roughly the starting place for distributing your training time. You may then shift training time toward your weaker sport. Realize that the bike is the key to success in triathlon (in my opinion) so be wary of taking a great deal of time away from it. Joe--Thank you. I am truly impressed with your attentiveness to triathlete’s seeking your guidance. Thank you for your willingness to make time to share your experience. Best wishes.